Railway in Congleton serves food. The pub serves real ale. Wharf Inn in Congleton shows football on TV. The pub has Sky Sports, it has terrestrial TV. Young Pretender in Congleton holds quiz nights. Last Orders in Congleton shows football on TV. The pub has Sky Sports, it has terrestrial TV. 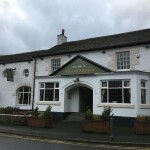 Olde Kings Arms in Congleton serves food. The pub serves real ale. White Lion in Congleton has a car park. The pub has a smoking area, it has free WiFi. Bulls Head in Congleton has BT Sport. The pub shows football on TV, it has Sky Sports. 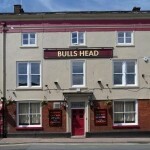 Bulls Head has terrestrial TV. 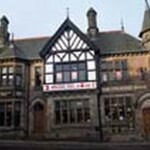 Church House Inn in Congleton welcomes customers with campervans. The pub has a beer garden, it has a car park. 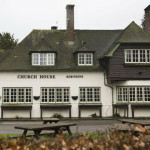 Church House Inn is a family friendly pub. The pub serves food, it has an outside area. Church House Inn serves real ale. The pub has a smoking area. 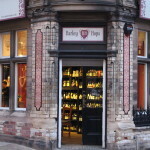 Barley Hops in Congleton serves real ale. 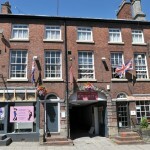 Counting House in Congleton has disabled facilities. The pub is a family friendly pub, it serves food. Counting House serves real ale. The pub has free WiFi, it is a member of Cask Marque. 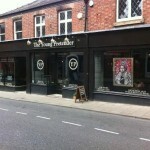 Bar Twelve in Congleton shows football on TV. The pub has Sky Sports, it has terrestrial TV.